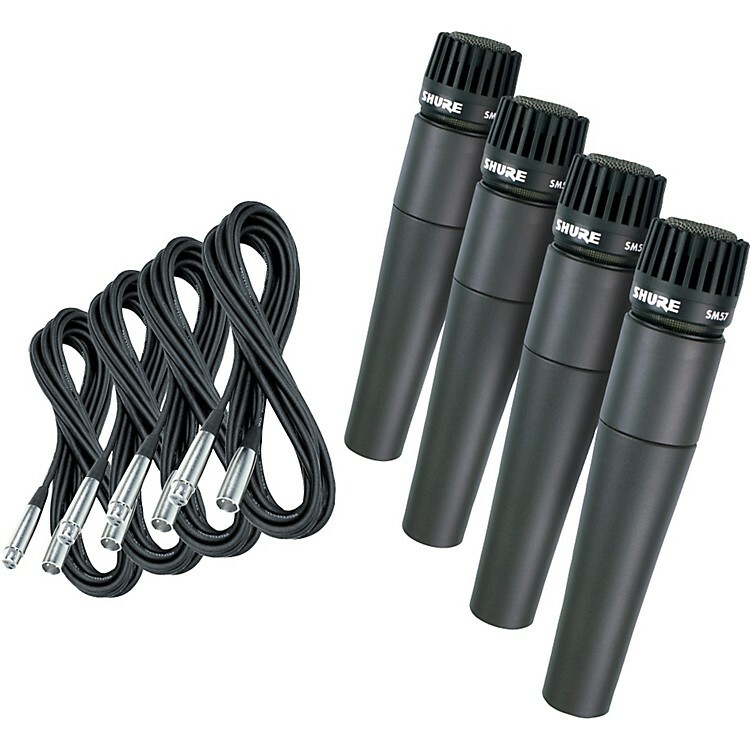 Four of Shure's legendary all-around mics with an 18' XLR cable for each. This microphone package gives you 4 Shure SM57 dynamic mics and 4 18' Gear One XLR microphone cables. One of the most popular professional instrument/vocal microphones of all time, the SM57 dynamic mic is a reliable, natural-sounding performer, night after night. Its durable, bulletproof design stands up to road travel and abuse. Perfectly at home in the studio too. The Shure mic's wide frequency response (40Hz-15kHz) and tight cardioid polar pattern are ideal for close-in miking of speakers.